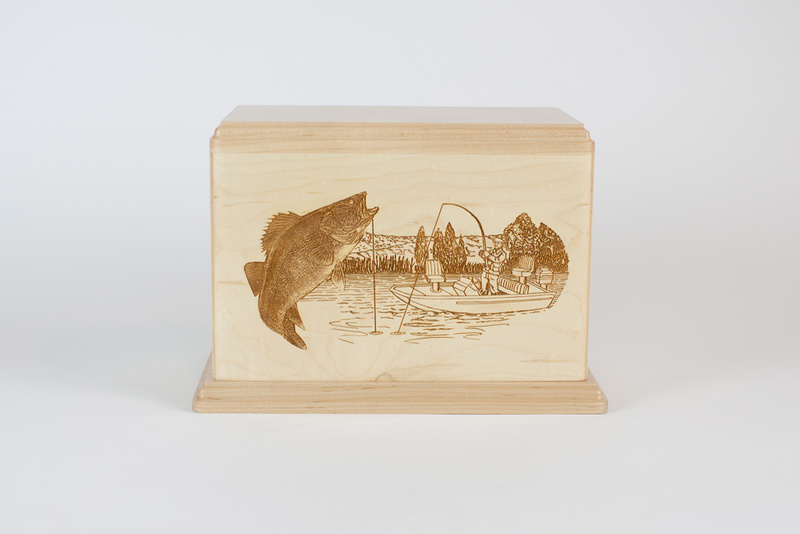 If your loved one was a walleye angling enthusiast, our Walleye Memorial Urn presents a great way to honor your beloved fisherman’s memory with a rustic wood cremation urn. 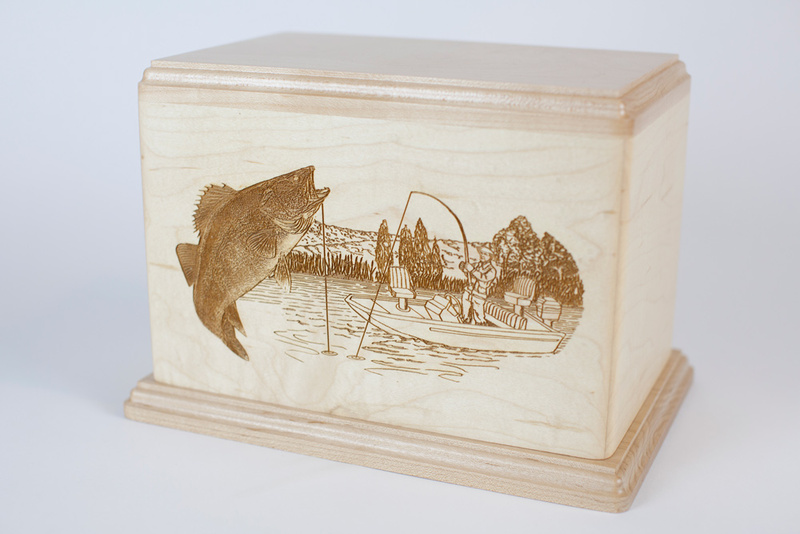 Made in the USA and laser etched in fine detail with an iconic Walleye fishing scene, this is a premium Oregon-crafted urn at an affordable price. 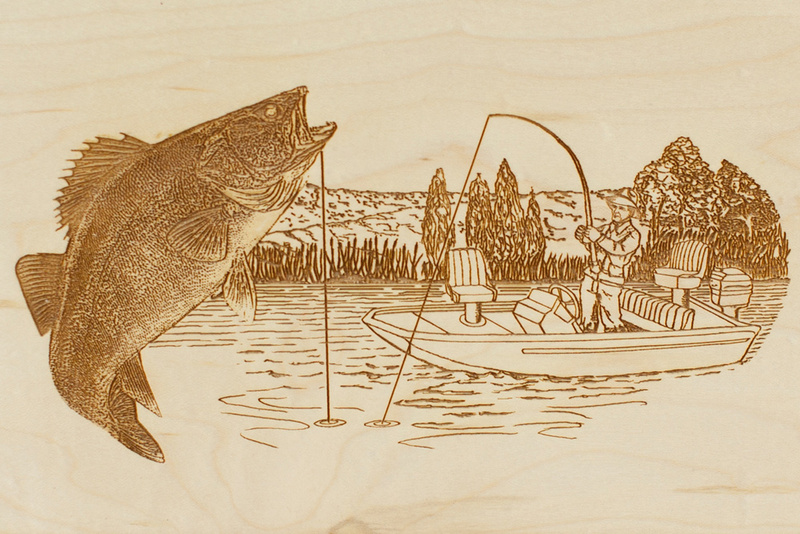 Walleye fishing is a popular sport for anglers, found in Canada, most of the Northern United States, and of course in our home here in the Pacific Northwest. 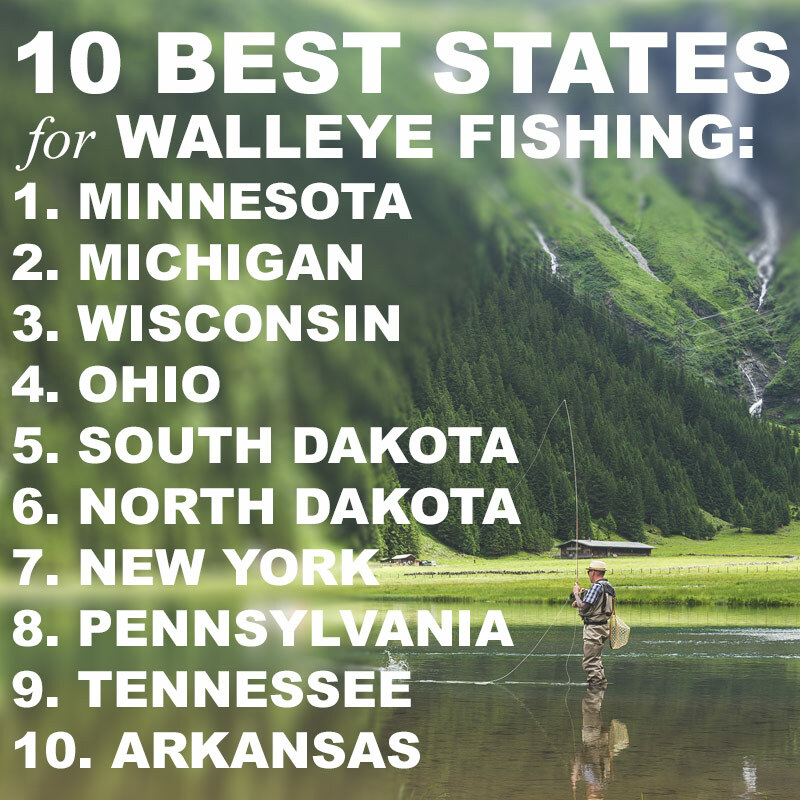 According to In-Fisherman, the Columbia River (which borders Oregon and Washington State) is “one of the greatest trophy walleye fisheries on earth,” so us Oregonians have yet another reason to be proud of our beloved state. 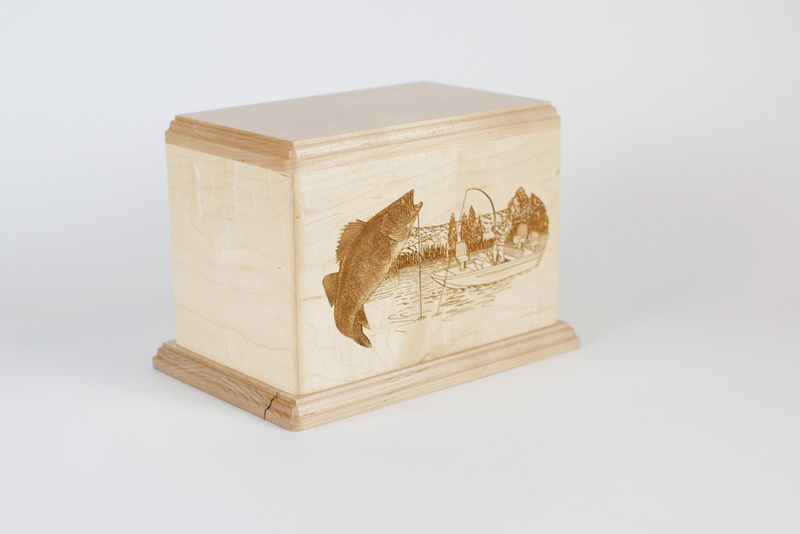 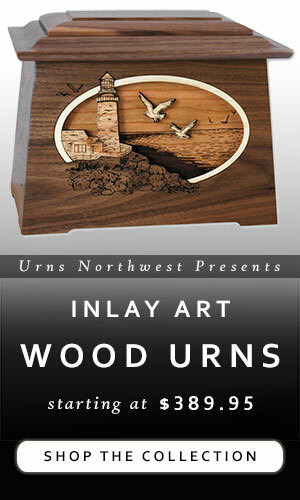 This is a solid wood memorial urn, crafted using premium maple wood as shown in the photos and videos. 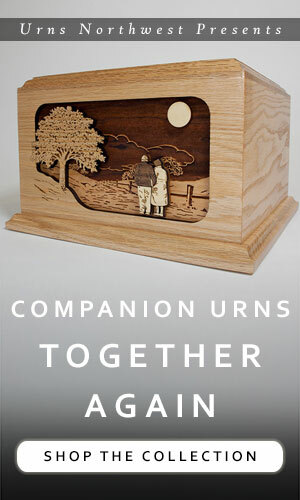 Alternatively we can make the urn in natural Cherry wood. 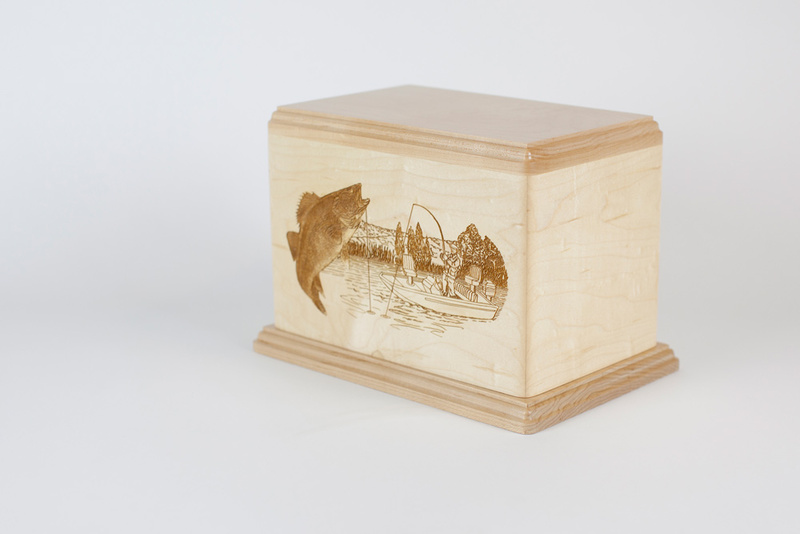 Either type can be laser etched with a personalized inscription of name and dates. 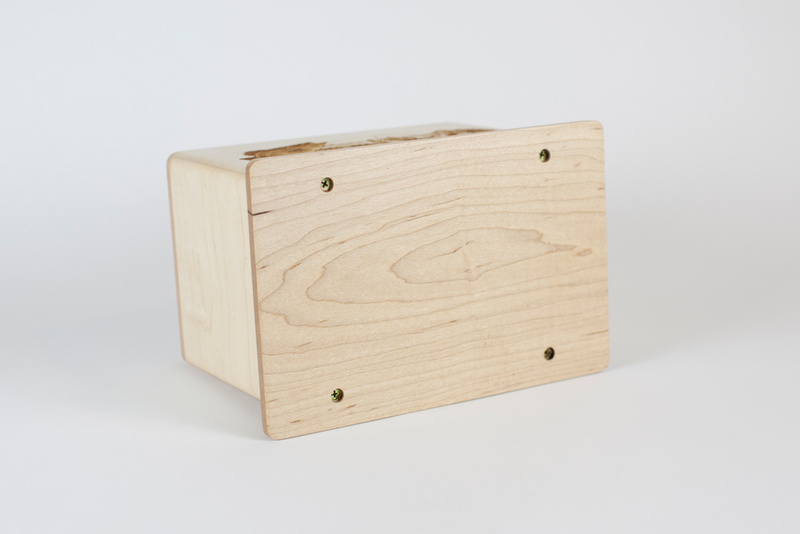 The inside of the urn box is accessed by removing the four screws which hold the base in place. 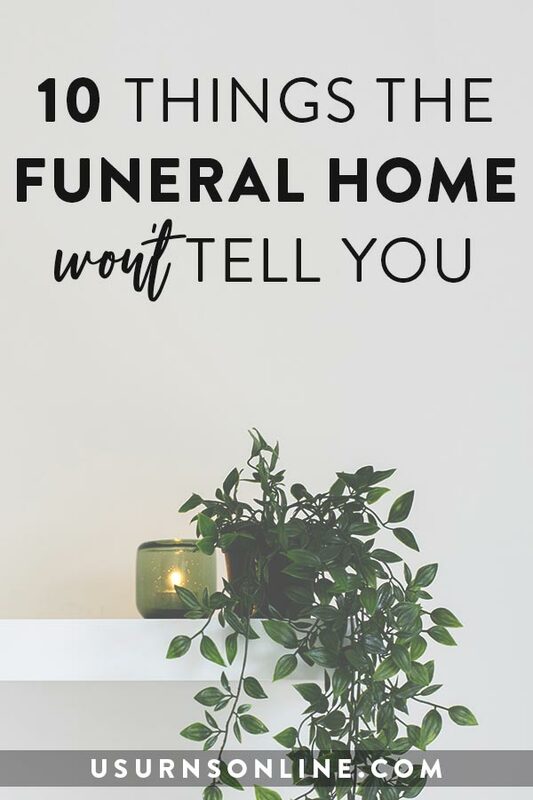 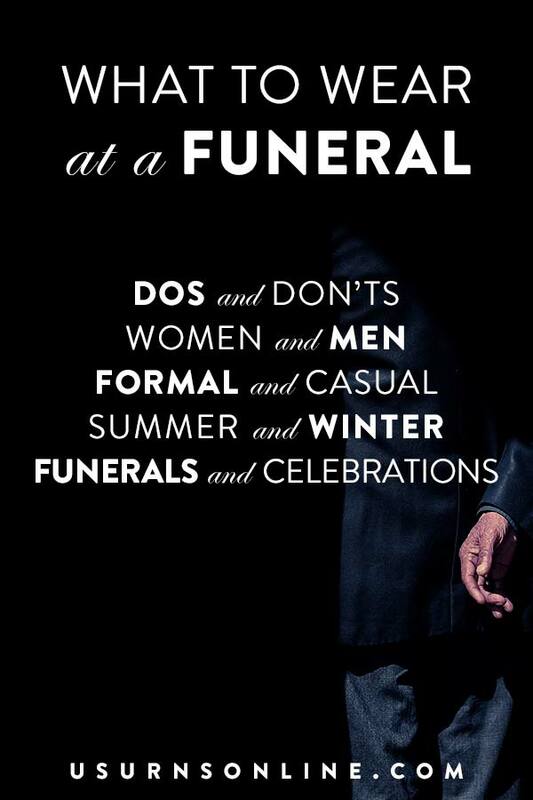 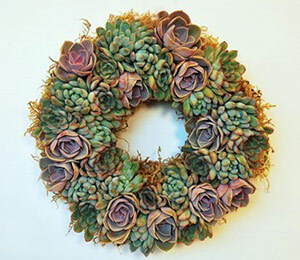 Instructions for opening and filling a cremation urn can be found here, including several videos.